As a family-knit business, we have worked within the waste disposal industry for 20 years and pride ourselves in providing reliable services, including free waste management advice. Our skips have different capabilities, making them suitable for an array of customer needs. At Bolton Skips, we provide efficient waste disposal alternatives for those who are renovating or clearing out their homes. 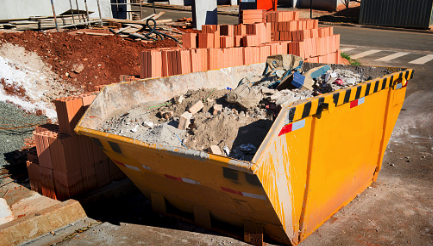 Understandably, you don’t want to be wasting your time making trips to the landfill site when you could be continuing with your unfinished project- hence, why we deliver domestic skips in and around Astley Bridge, at a time that suits you best! Our Astley Bridge skips at Bolton Skip Hire vary in size, take our 4-yard skip for instance. This skip has the capability to hold up to 40 bin bags, 8 wheelie bins and 2 sofas. Although this capacity is great, we also offer skips that can hold up to 4 times as much waste. Our 16-yard skips can cater for 160 bin bags, 48 bin bags and 8 sofas. At Bolton Skips, no project is too big, or too small! We can deliver your skip at a time that suits you best. If your skip is for commercial purposes, our team don’t mind collecting the waste as soon as your skip is full, we will quite happily arrange to drop off another skip for you- allowing you to maintain your work efficiency. The size of your domestic skip is dependent on the amount of waste you generate and your maximum expenditure, you can choose a skip between 8-yards and 40-yards- we also offer enclosed compactor bins for needs of immense disposal! For Astley Bridge Skip Hire, Contact Us Today!